Physical activity is important not only during P.E. class but throughout the school day. 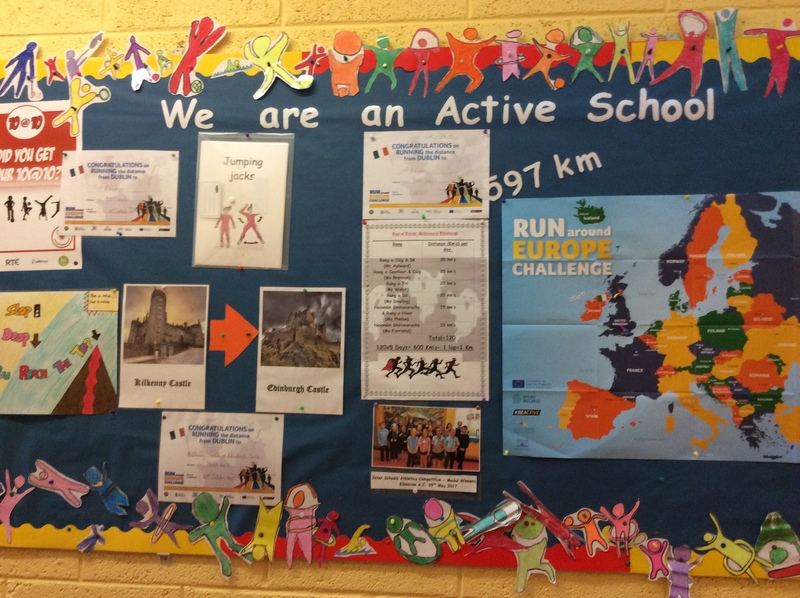 Here at Carrigeen NS we have a number of initiatives in place to ensure we are active for as long as possible throughout the day. We have two breaks throughout the day where we are encouraged to go outside and play. Our yard is zoned according to class level so everyone has lots of room to move and run about. We have yard markings which encourage the children to take part in educational active games and a basketball court which facilitates basketball as well as many other games. We also have a green field area which is used in the summer months for GAA training and P.E. This year we purchased a mini storage shed to store our brand new P.E equipment which is used during lunch time. The Active School committee is in charge of taking out and tidying away the equipment each day. We have a rota system and so far this has been working very well. This year as part of the Active School Flag process we set up Playground Leaders to ensure that all children on the yard are engaging in some type of physical activity during break time. The Leaders from 4th-6th class play traditional playground games and encourage the younger children to take part in physical activities. This has been very successful in not only improving the activity levels of the children but also developing the leadership skills of the children in the senior classes. Unfortunately on rainy days we cannot go outside but that doesn't stop us from getting our exercise. The Active committee came up with the catchy slogan 'Even when it's raining we're still training' and this has really helped the activity levels during wet days. Each class received a poster with ideas on how to keep active such as Gonoodle, Justdance, Bizzy breaks etc. It makes staying in not so bad! SEE PHOTO. It’s not easy for adults or children to sit for long periods of time without getting restless and losing focus. 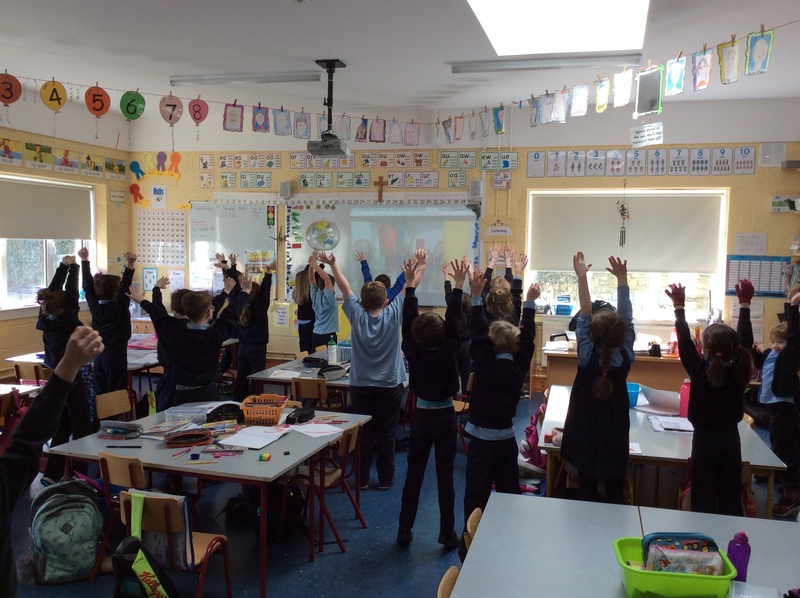 Here in Carrigeen we now incorporate lots of movement breaks in throughout the day to ensure we get a break from our seats and are kept focused. These breaks could be an action song or poem, an activity from the ‘GoNoodle’ website or a dance from ‘Just Dance for Kids’. 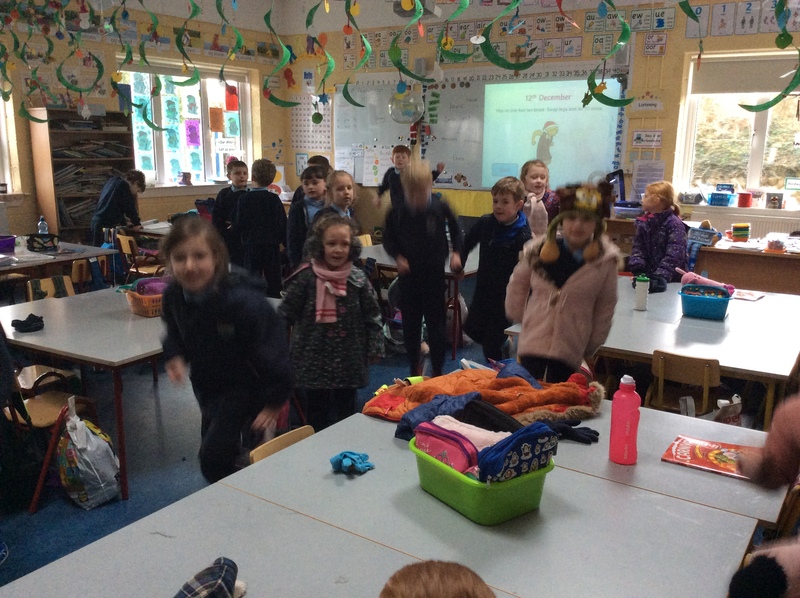 Our Junior Infants have been going for a 'Morning Jog' each morning which has sent attention and concentration levels soaring as a result! This year we also completed the 10@10 operation transformation challenge. SEE PHOTO. An Active School Flag Suggestion Box was created and placed in front of the ASF Noticeboard. This is for students to post their ideas in. The boys and girls on the Active School Flag Committee will be responsible for checking the Suggestion Box on a regular basis and presenting the information at their meetings. SEE PHOTO.